Alpinism and climbing re-defined. Each one of my programs allow for ample time to practice skills and acclimate prior to a major ascent. Consequently, these programs offer a very high success rate. I offer courses to many of the major iconic peaks of the Alps but many others as well. The long tried traditional of private guiding is quintessential in guiding history. I specialise in private custom outings but can accommodate small pre-set groups as well. I do not offer programs for guests looking for “partners”. Your holiday time is important - so make the most of it. The vast majority of climbs in the Alps require custom small ratios and I don’t believe this form of guiding is money well spent. 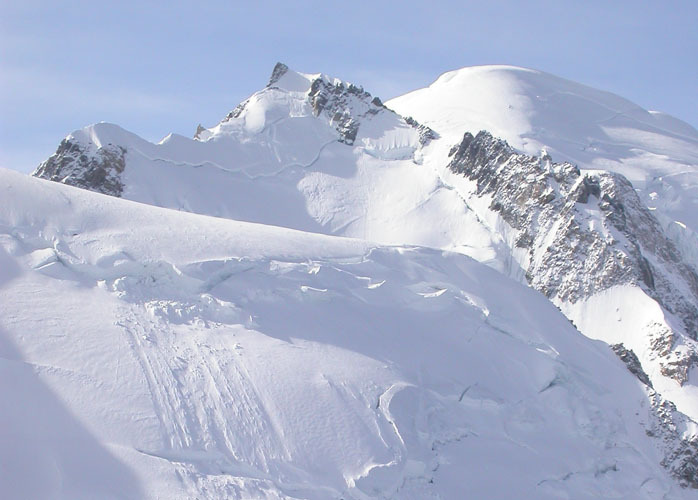 Spaghetti Tour - The spaghetti tour or the 4000m peak tour that lies on the borders of Switzerland and Italy. Rock Climbing Trips - Discover world class venues and improve your climbing at the same time. Offered spring and fall. Via Ferrata - An introduction to the vertical world a perfect starting point for all ages. Trekking & Hiking - Guided walks through some of the most stunning areas of the Alps. A la Carte Climbs: - In the purest of traditions, some of the best classics of the Alps.